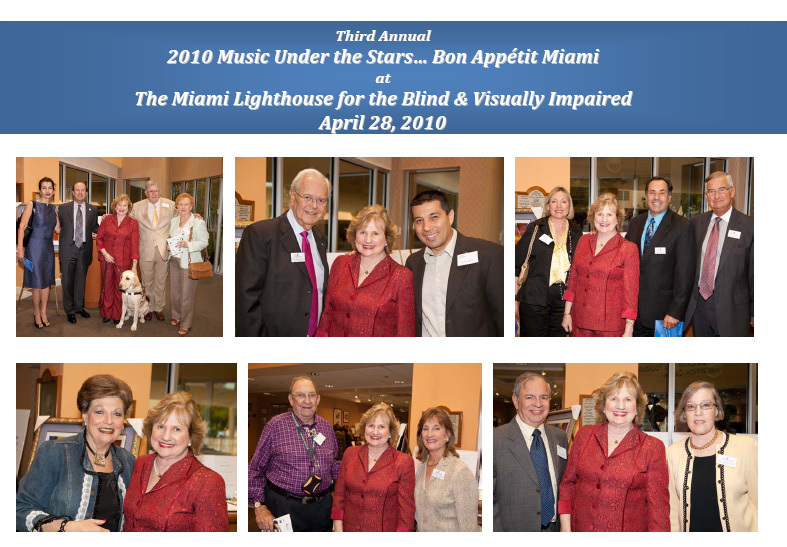 Miami Lighthouse instructors and blind and visually impaired musicians provided live music for The Great Train Robbery at "Music Under the Stars" benefiting their Florida Heiken Children's Vision Program, a division of Miami Lighthouse. 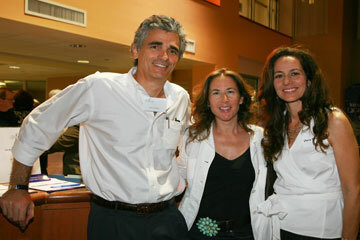 The score was written by Miami Lighthouse instructor Oman Pedreira. 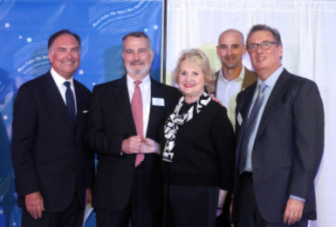 Last school year, the Heiken Program provided over 11,000 dilated eye exams and 8,000 prescription glasses at no cost to financially disadvantaged schoolchildren statewide. 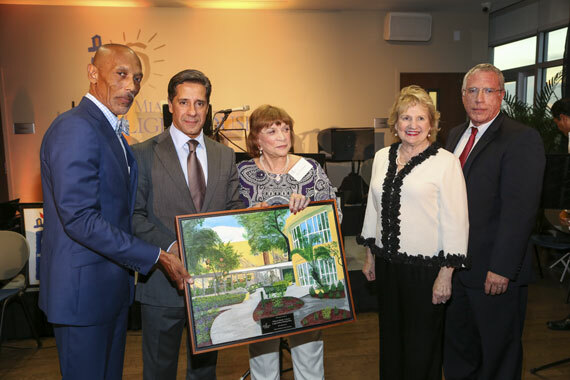 The celebration included a ribbon cutting dedication of the Trish and Dan Bell East Terrace of the recently completed Miami Lighthouse Learning Center for Children™. 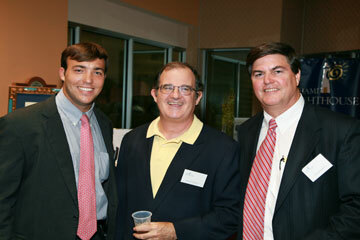 Event Sponsors (left to right): Michael Jimenez, Genesis Systems Consulting; Ralph Niebles, The Art of Shaving; Steven Solomon, GrayRobinson P.A. 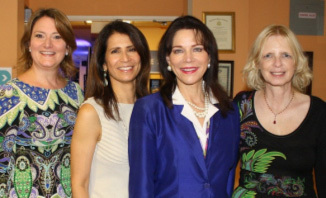 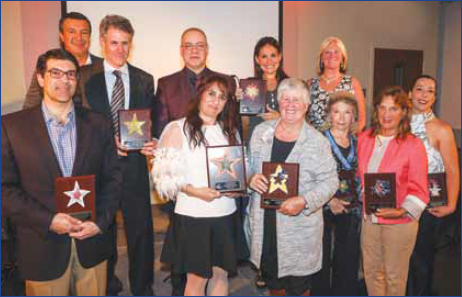 ; Carina and Gustavo Lancewicki, US Ophthalmic; Karla Richey, Miami Kids Magazine; Commissioner Sally Heyman, Miami-Dade County; Michele Pederson, The Art of Shaving; H. Angela Whitman, Pamela J. Garrison and Eileen Camejo, EC Connects. 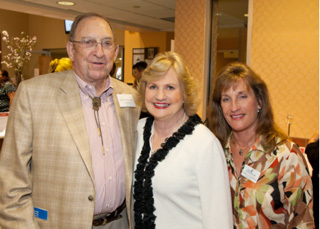 Trish and Dan Bell after ribbon cutting dedication of Trish and Dan Bell East Terrace. 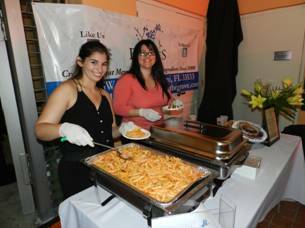 May 24th was the date of our 2017 Music Under the Stars event benefiting our Florida Heiken Children's Vision Program. 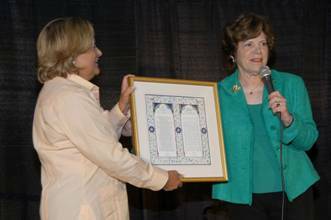 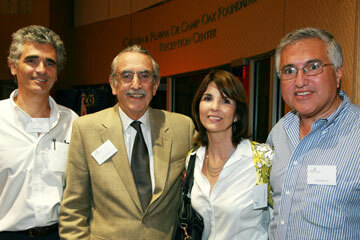 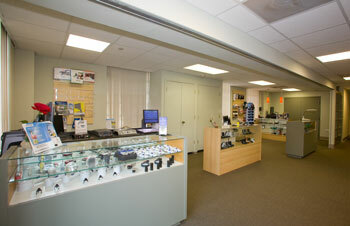 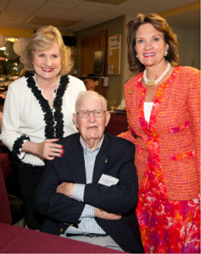 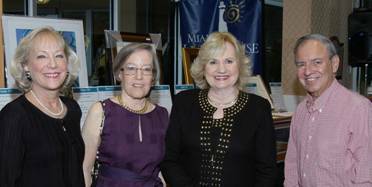 The occasion marked the 25th anniversary of the program and the 10th anniversary of its merger with Miami Lighthouse. 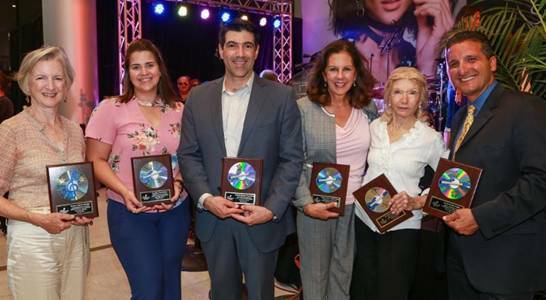 Held at the new Brickell City Centre Mall, nearly 200 attendees were welcomed by Mistress of Ceremonies Emmy-winning Journalist Maity Interiano. 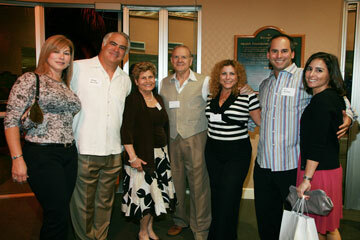 Guests enjoyed musical performances by Miami Lighthouse musicians and vocalists. 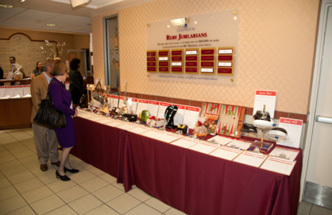 This year, in addition to our traditional silent auction featuring exciting get-away packages, restaurant gift certificates, and much more, attendees had the opportunity to participate in a raffle made possible by Board Director Angela Whitman and Saks Fifth Avenue. 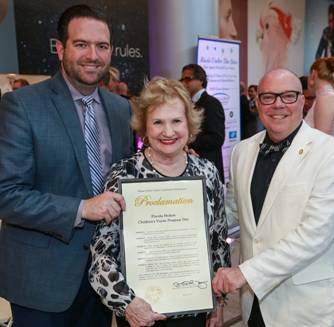 Proclamations from the Miami-Dade County Legislative Delegation and Miami-Dade County Public Schools recognized our Heiken Program's 25 years of eye care for needy schoolchildren. 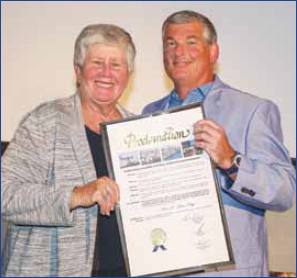 President & CEO Virginia Jacko with proclamation. 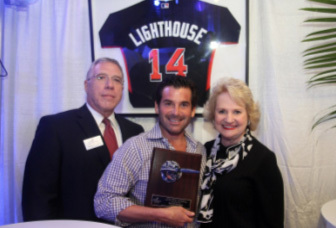 On behalf of Major League Baseball and the Miami Marlins, Claude Delorme Executive Vice President, Operations and Events for the Miami Marlins, announced that our Florida Heiken Children's Vision Program has been chosen as an All-Star Game Legacy Project of Major League Baseball. 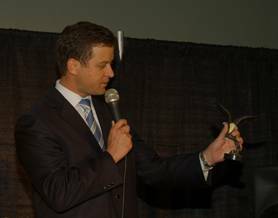 Legacy funding will go toward a new mobile optometric unit that will be unveiled during the Miami All-Star Game in July. 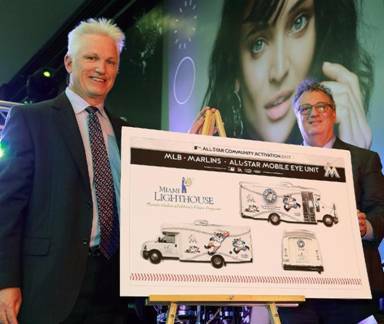 make new artwork design of mobile optometric unit public. 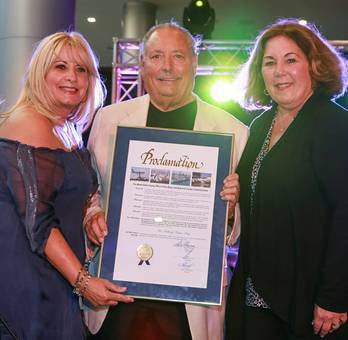 Wednesday, May 24, 2017 was designated Dr. Sidney Stern Day in a proclamation by Carlos A. Gimenez, Mayor of Miami-Dade County, Chairman Esteban Bovo, Jr. and the Members of the Board of County Commissioners. 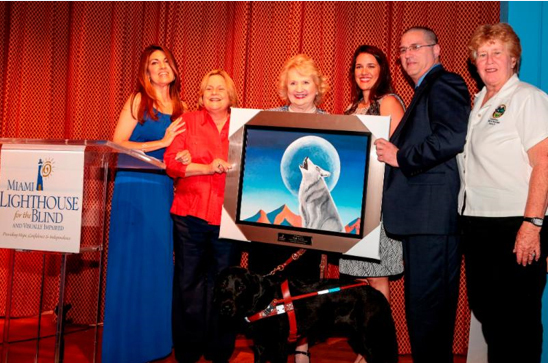 Dr. Stern was honored for his long-term commitment to providing eye care and glasses to underserved children in Miami-Dade County. 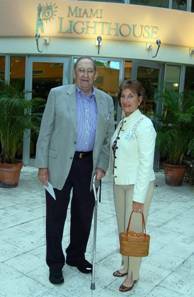 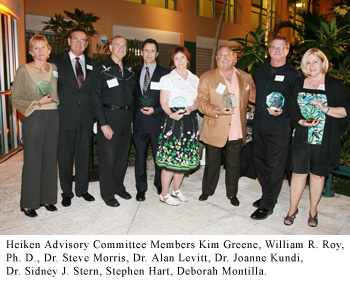 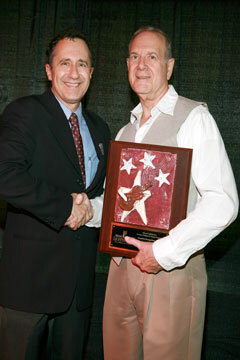 Dr. Stern was instrumental in the creation of the Heiken program in 1992 during his term as President of the Miami Dade Optometric Physicians Association. 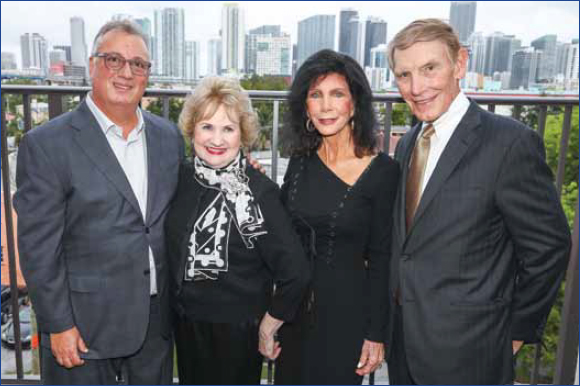 Since the merger with Miami Lighthouse, Dr. Stern has provided nearly 56,000 pairs of prescription for needy schoolchildren. 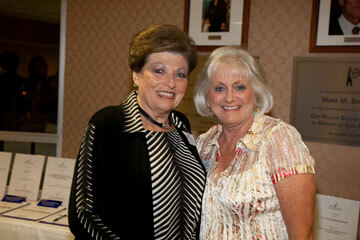 Bonnie Michaels present Dr. Sidney Stern proclamation. 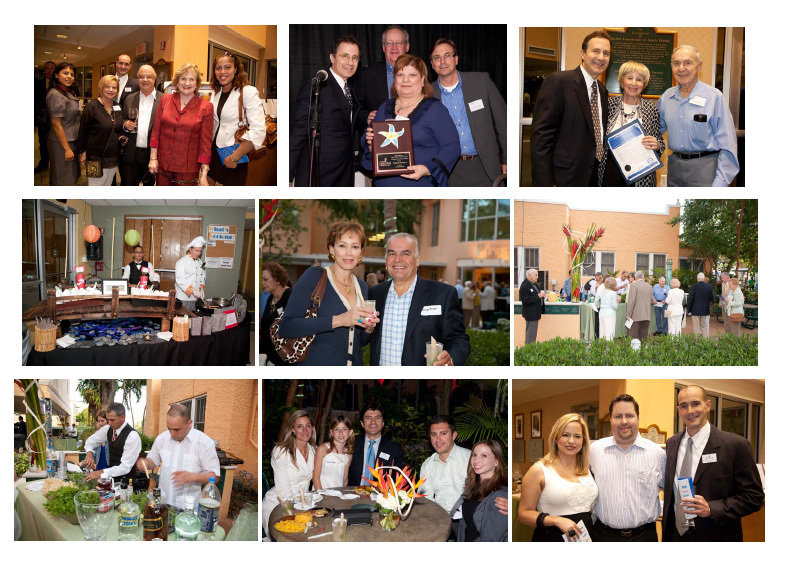 We express our thanks to Brickell City Centre for allowing us to hold our event in their new exciting venue and to our sponsors: ABB Optical Group, Publix Super Markets Charities, Marlins Foundation, Essilor Laboratories of America, H. Angela Whitman Foundation, Donna Abood Principal Managing Director Avison Young, GrayRobinson, Genesis Systems Consulting and BB&T Bank. 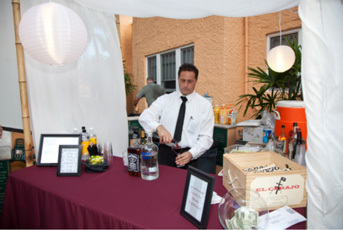 In-kind sponsors were Susan Conroy Design, Monster Sound Productions, Saks Fifth Avenue, Starbucks Coffee, Zyr Vodka and East Hotel. 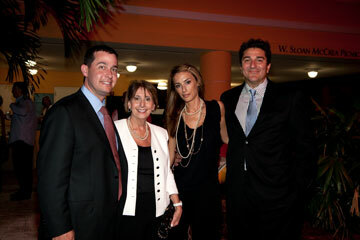 Avison Young, Miami Lighthouse Board Director Angela Whitman and Marcos Freire with Brickell City Centre. 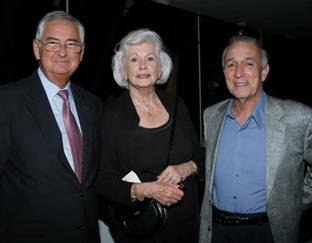 The rains came, and the stars were nowhere to be seen, but the music was marvelous and the evening a major success with over 100 guests getting their first glimpse of the fascinating Koubek Center. 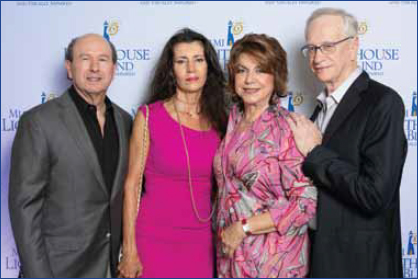 The historic building created a very special aura for this year's annual affair with its wonderful music by Charles "Mr. Casual" DeChant of Hall and Oates and the super talented Better Chance Music Program musicians. 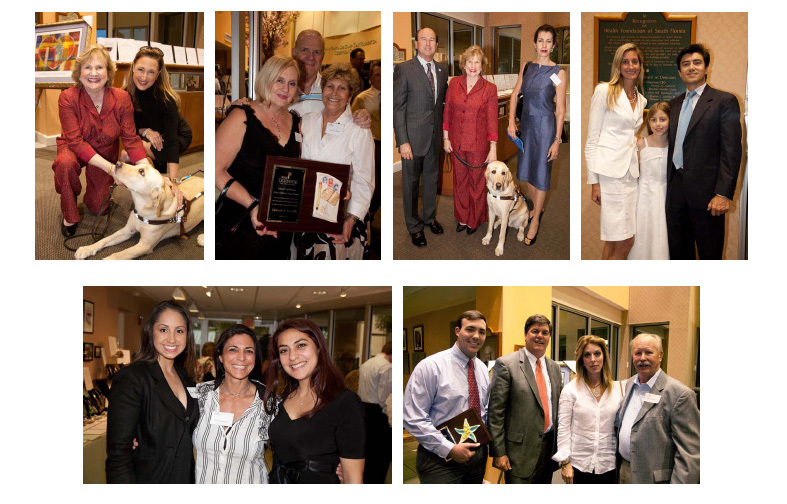 Emceed by radio icon Jade Alexander of 102.7 The Beach, the evening honored the Miami-Dade Legislative Delegation as well as the optometric community's continuing leadership of our Heiken Program with special recognition of our two Board Directors Dr. Alan P. Levitt and Dr. Stephen A. Morris. 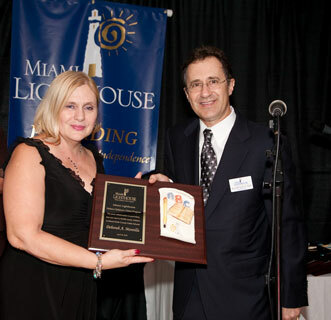 Miami Lighthouse Band performs with Charles "Mr. Casual" DeChant of Hall and Oates. 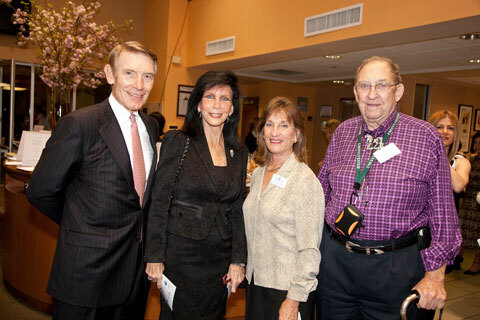 The event raised over $55,000 which will enable our Heiken Children's Vision Program to provide over 550 free comprehensive eye examinations and glasses when prescribed for low income-school children who have no resources for eye care. 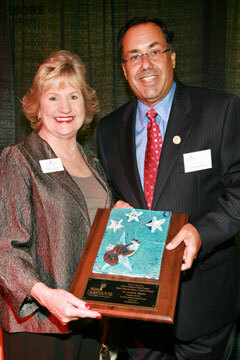 Jose Diaz of Robert M. Levy and Associates accepts tribute painting in memory of Bob Levy. 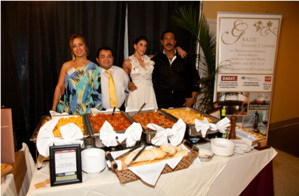 We express our gratitude to the event sponsors including ABB Optical Group, Ophelia & Juan Roca, Publix Super Markets Charities, Baptist Health South Florida, JM Private Insurance, Signet Armorlite, Genesis Consulting, Gray Robinson, Aetna, and Essilor Laboratories of America among others. 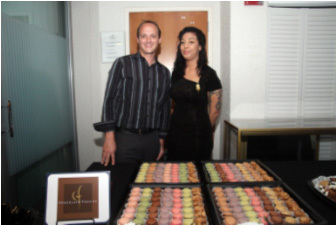 May 6th was truly a night to remember with guests ending the evening by giving a standing ovation to our Miami Lighthouse Big Band Jazz, special guest internationally acclaimed jazz vocalist Nicole Henry and Miami Lighthouse former client and now professional singer, Natalia Sulca. 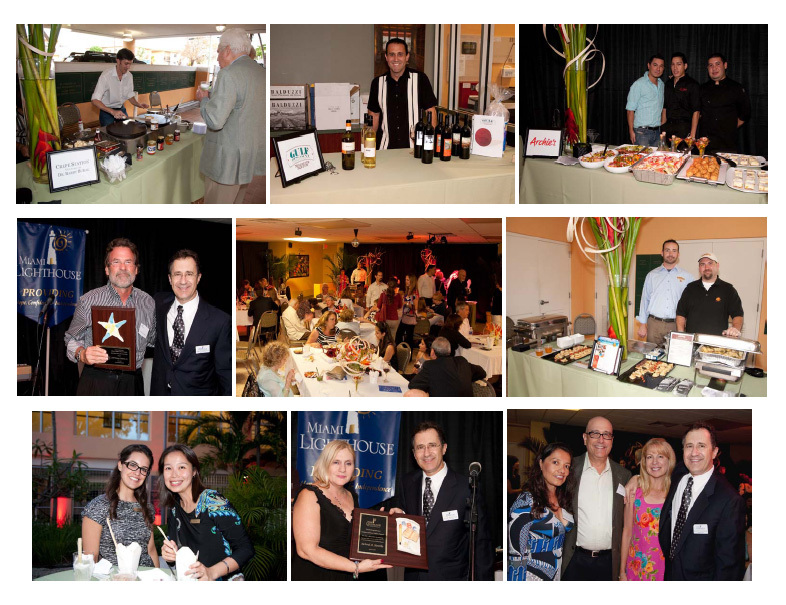 The exciting evening of great food, delicious wines, super music and live and silent auctions was all to benefit our very important Heiken Children’s Vision Program that provides free comprehensive eye exams and glasses to low-income schoolchildren. 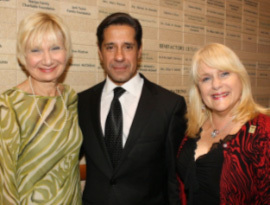 This year’s event was emceed by G. Eric Knowles, President and CEO of the Miami-Dade Chamber of Commerce, and sponsored by the ABB Optical Group, Publix Super Markets Charities, Baptist Health South Florida, Brown & Brown Insurance, Marlins Foundation, Miami-Dade Commissioner Sally Heyman, Genesis Consulting, Gray Robinson, Aetna, Essilor Laboratories, Perry Ellis International, Monster Sound Productions, Brickell Magazine, Bob’s Barricades and Brazilian Grill Party Rentals. 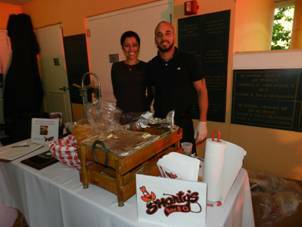 Delicious food was provided by A. Thierry’s Catering, City Hall The Restaurant, Whisk, Perricone’s Marketplace, Shorty’s BBQ, Dr. Barry Burak and Gail Beckham. 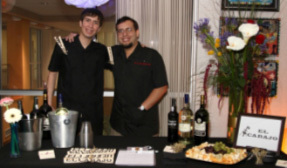 Wine and beverages were provided by El Carajo, Samuel Adams, The McCallan and Starbucks. 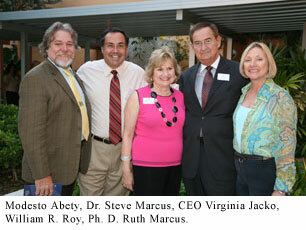 Eric Knowles, Dr. David K. Moore, Superintendent Alberto M. Carvalho, Virginia Jacko and Chair Ray Casas. 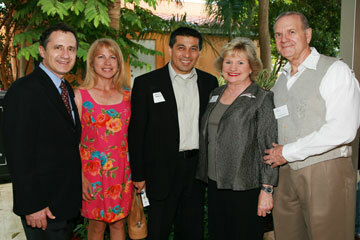 Eric Knowles, Superintendent Alberto M. Carvalho, Senator Gwen Margolis, Virginia Jacko and Chair Ray Casas. 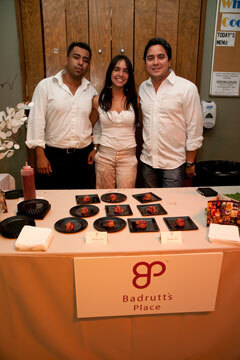 More than 200 guests gathered for “Music Under The Stars: Bon Appétit Miami” on Wednesday, April 30th. 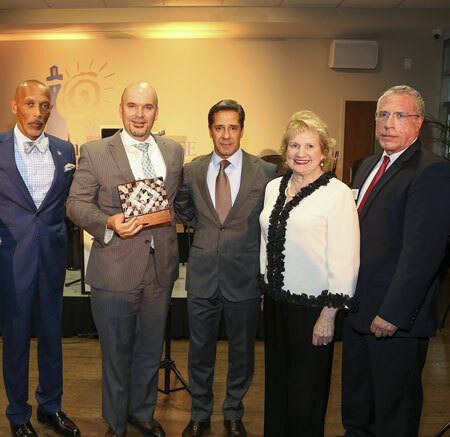 School officials and community leaders joined the Miami eye care community to celebrate over 20 years of free eye examinations for more than 80,000 children in need who failed their school vision screening but had no resources for eye care. 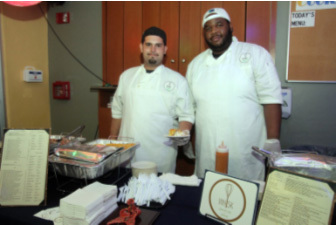 Guests dined on delicacies from OTC Restaurant, Whisk, City Hall The Restaurant, Perricone’s Marketplace, Chocolate Fashion, Shorty’s Bar-B-Q, El Carajo International Tapas & Wine and more, while enjoying drinks from Tito’s Handmade Vodka and Rex Goliath Wine. 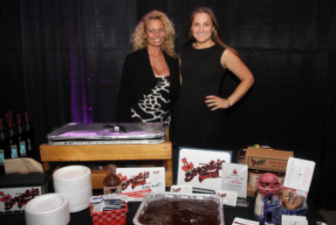 The night also featured a wonderful silent auction, which included fabulous getaway trips, certificates for fine dining, jewelry and exclusive art. 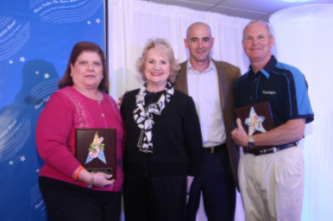 Special recognition was given to the Marlins Foundation and Marlins Ayudan, three generations of Harrison Family board leadership including participation in the founding of Bascom Palmer Eye Institute by Miami Lighthouse, and Nova Southeastern University College of Optometry. 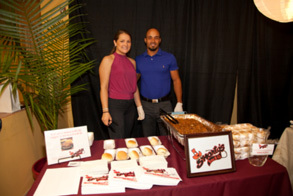 The event was emceed by Nicole Maristany Krauss, Media and Communications Manager at Publix Super Markets, Inc. 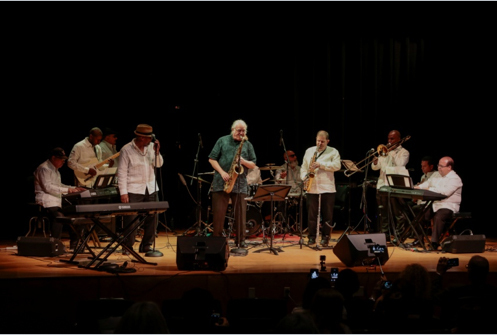 Guests also enjoyed a special appearance by Latin Grammy award winner Paul Hoyle, backed up by musicians from the Miami Lighthouse Better Chance Music Production Program™. 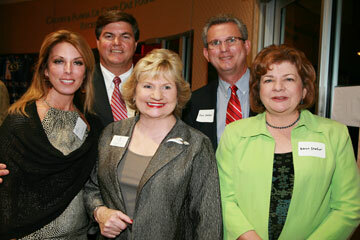 The event was presented by 20/20 Vision Sponsor ABB Optical Group, Perfect Sight Sponsors Publix Super Markets Charities, Baptist Health South Florida and Brown & Brown Insurance, Clear Vision Sponsors BB&T and Commissioner Sally Heyman, and Healthy Eyes Sponsors GrayRobinson, Williamson Automotive, Essilor Laboratories of America, Transitions Optical, VSP Optics Group and Signet Armorlite. 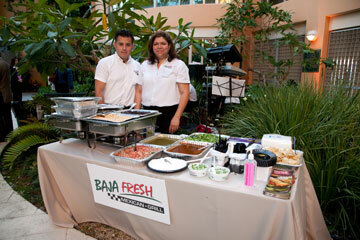 Thanks to Perry Ellis International for providing custom made guayaberas that our musicians wore throughout the night. 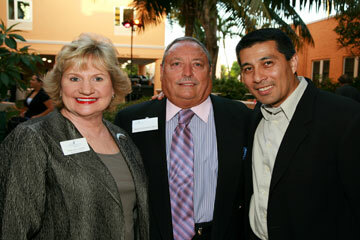 CEO Virginia Jacko, Board Chairman Agustin Arellano, Jr.
Board Chairman Agustin Arellano, Jr. 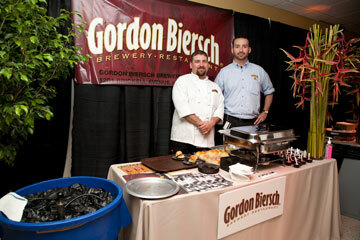 Restaurant sponsors included City Hall Restaurant, OTC Restaurant, Perricone’s Marketplace & Café, Shorty’s Bar-B-Q, El Carajo International Tapas & Wine, Whisk Gourmet Food and Catering, Chocolate Fashion, Starbucks Coffee Company, GB Catering, Nestle Coffee-mate and Dr. Barry Burak Crepe Maker. 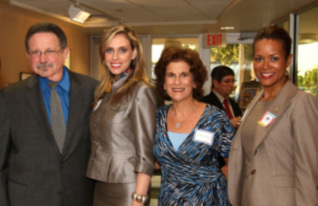 On May 22nd legislators, school officials and community leaders joined the Miami eye care community to celebrate over 20 years of free eye examinations for more than 75,000 children in need who failed their school vision screening but had no resources for eye care. 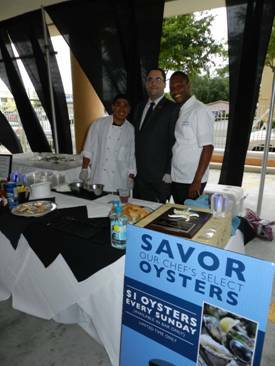 Music Under the Stars: Bon Appétit Miami attendees enjoyed musical performances by Miami Lighthouse Better Chance Music Production Program™ students, instructors and special guests, food from great Miami area restaurants, beverages by Miami Club Rum and El Carajo International Tapas & Wine and a silent auction which offered fabulous getaway trips, jewelry and exclusive art. 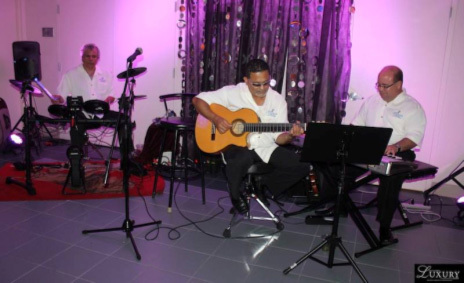 Thanks to Perry Ellis International the Better Chance Music Production Program™ musicians wore custom made guayaberas in the musically themed venues throughout Miami Lighthouse. 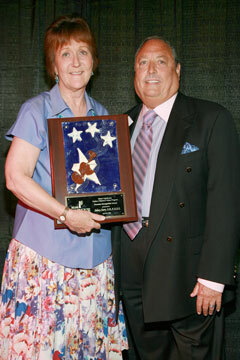 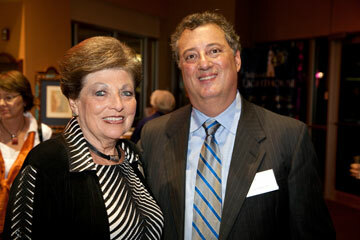 CEO Virginia Jacko and Superintendent Alberto Carvalho. 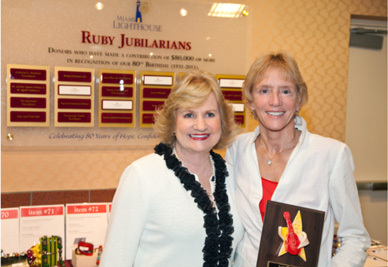 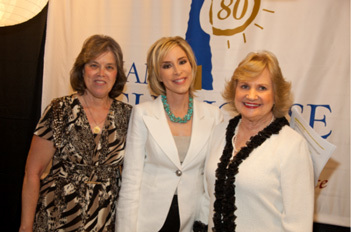 Katherine Fernandez Rundle and Board Director Shirley Press, M.D. 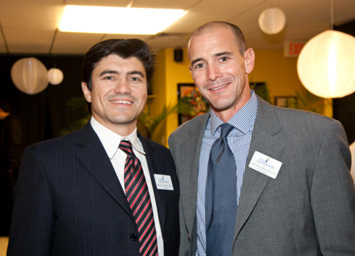 Board Director Alan Levitt OD., and Rene Gonzalez-Llorens, Esq. 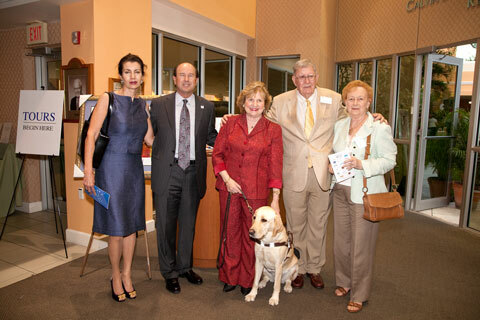 The event was presented by 20/20 Vision Sponsor DLA Piper, Perry Ellis International, Florida Power & Light, Publix Super Markets Charities, Northern Trust Bank, Baptist Health South Florida, Commissioner Sally Heyman, GrayRobinson, Williamson Cadillac, Montica Jewelry, Essilor Laboratories of America, Transitions Optical, VSP Optics Group and Mobile Specialty Vehicles. 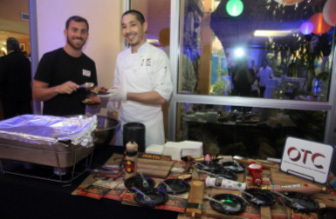 Restaurant sponsors included City Hall Restaurant, The Oceanaire Seafood Room, Perricone’s Marketplace & Café, Gordon Biersch Brewery Restaurant, Shorty’s Bar-B-Q, Chocolate Fashion, Starbucks Coffee Company, West Kendall Baptist Hospital Catering, GB Catering and Dr. Barry Burak Crepe Maker. 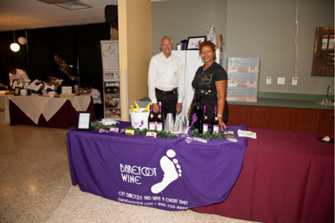 Christie Grays (Baptist Health) and Board Director Steven Solomon (GrayRobinson). 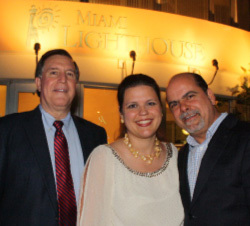 Miami Lighthouse Musicians Harold Cobo, Oman Pedreira and Gerardo Ubieda. 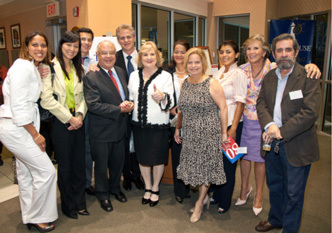 Legislators, school officials and community leaders joined the Miami eye care community April 20th to celebrate 20 years of free eye examinations for more than 65,000 children in need who failed their school vision screening but had no resources for eye care; 75% of these children required prescription glasses and received them at no cost to their family because of the nationally-recognized Miami Lighthouse for the Blind division, Florida Heiken Children’s Vision Program, LLC. 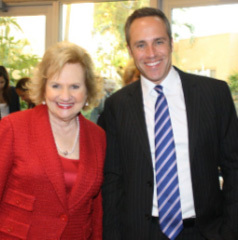 The event was emceed by Congresswoman Ileana Ros-Lehtinen and began with M-DCPS Superintendent Alberto Carvalho reading a letter from President Obama recognizing the program on 20 years of service. 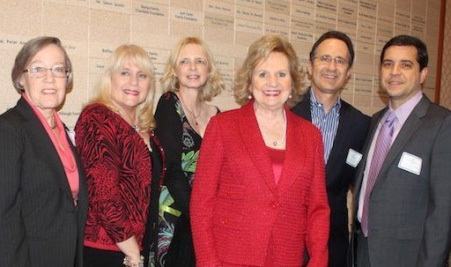 Florida House Majority Leader Carlos Lopez-Cantera and Senate Minority Leader Nan Rich were honored as they complete their service in the Florida legislature. 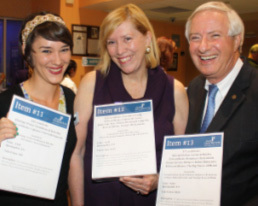 State Senator Gwen Margolis read a resolution she introduced during the 2012 legislative session. 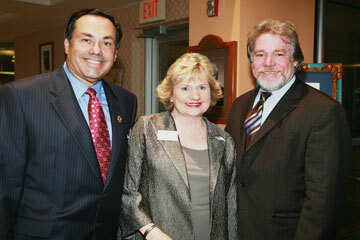 Commissioner Sally Heyman, Chairman of the Board Michael Silva and Lisa Pisciotta. 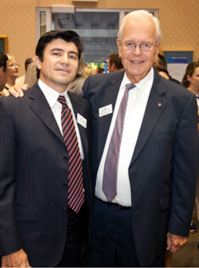 Board Chairman Michael A. Silva, Esq. 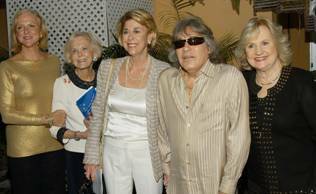 presented guest musician José Feliciano with an honorary Board of Directors certificate. 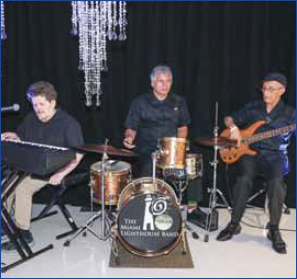 Alongside José Feliciano, the Miami Lighthouse Better Chance Music Production Program™ musicians entertained guests with a wonderful performance and debuted their latest album “The Big Band Classics and More." 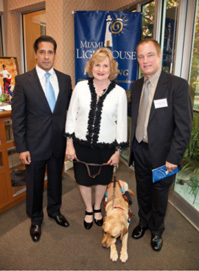 The event was presented by 20/20 Vision Sponsor contact lens distributor and manufacturer ABB Concise and other sponsors included Florida Power and Light, Baptist Health South Florida, Blue Cross Blue Shield of Florida, Miami-Dade County Commissioner Sally Heyman, and Media Stage. 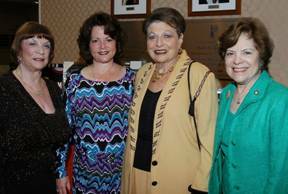 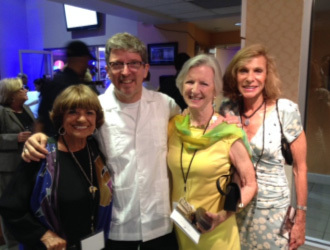 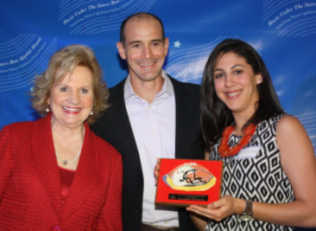 Glenn Batteiger, Maria E. Perez, Evelyn Rodriguez and Commissioner Sally Heyman. . 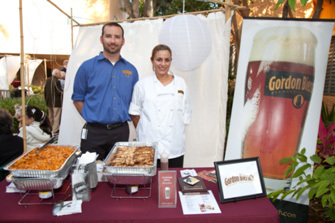 Beverages were provided by Bacardi USA and food was provided by local restaurants which included Gordon Biersch Brewery Restaurant, Perricone’s Marketplace & Café, Gibraltar at The Grove Isle Hotel and Spa, Chocolate Fashion, Starbucks Coffee Company, Berries in the Grove, The Oceanaire Seafood Room, Shorty’s Bar-B-Q, and Tamarind Thai Restaurant. 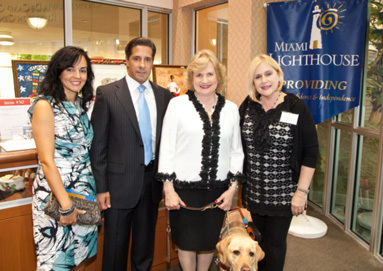 Miami Lighthouse for the Blind and Visually Impaired held its fourth annual “Music Under the Stars: Bon Appétit Miami” on April 27th to benefit its Heiken Children’s Vision Program. 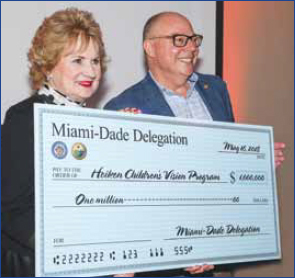 “Over 400 needy children in Miami-Dade County Schools, who without this program do not have the resources to get an eye exam and glasses when prescribed, will receive a comprehensive eye examination and necessary eyeglasses underwritten by the proceeds from this event. 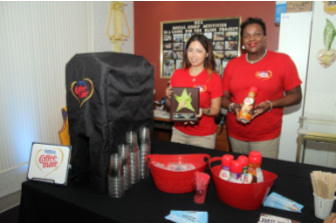 Without this intervention, they would continue to struggle in school to see the board and read their assignment,” said Virginia A. Jacko, President & CEO of Miami Lighthouse. 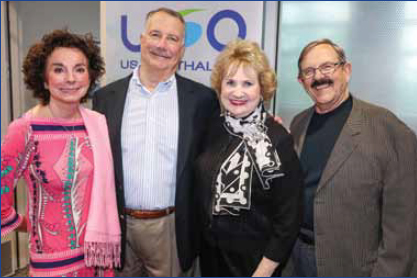 This past year 6,500 low-income schoolchildren who failed their state-mandated vision screening received a free eye examination, and 75% of them required prescription glasses, which were also provided at no cost. 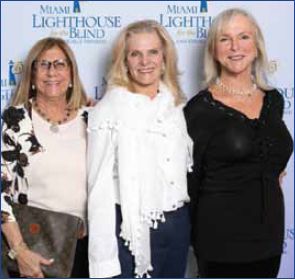 Over 200 community eye care providers, other professionals and philanthropists attended the elegant, tuneful evening featuring live jazz and pop by the talented Miami Lighthouse Better Chance Music Production Program™ musicians. 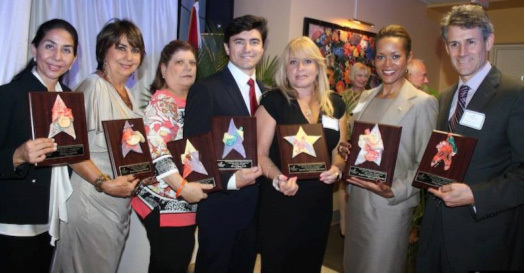 Special recognition was given to Superintendent of Miami-Dade Public Schools Alberto Carvalho and Dr. Lillian Rivera of the Florida Department of Health for their collaboration with the Heiken Program and to the foundations and individuals that support the program. 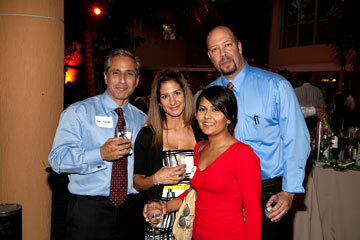 Lynn Martinez, Anchor WSVN-7 News, was the evening’s emcee. 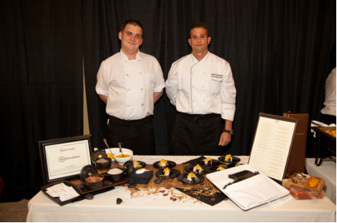 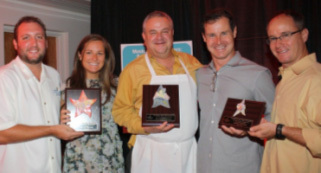 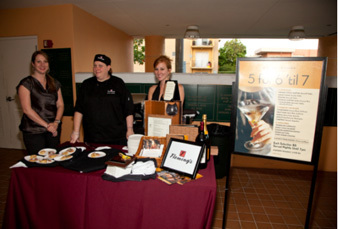 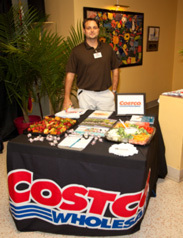 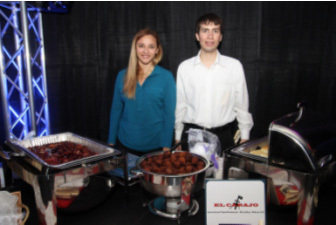 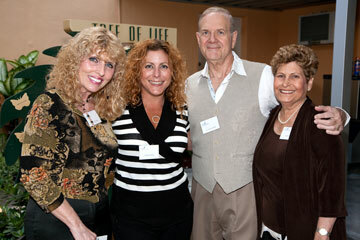 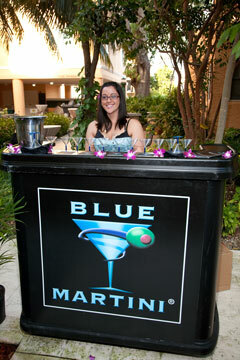 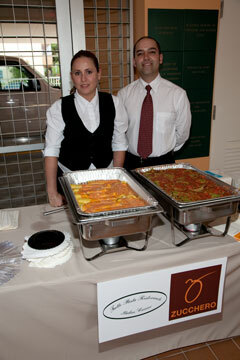 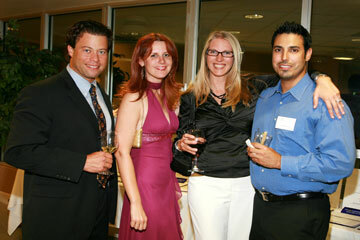 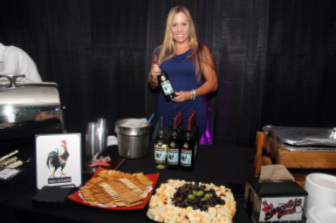 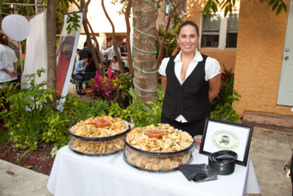 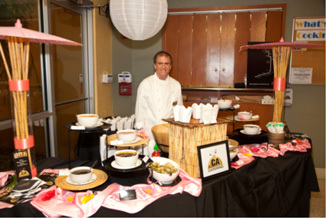 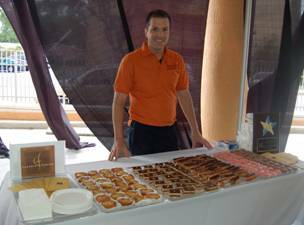 The event included delicious samplings from Miami area restaurants and a wonderful silent auction. 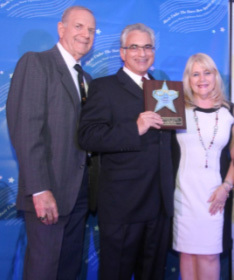 Chairman of the Board Michael Silva and Board Director Agustin Arellano, Jr.
Also recognized at the 2011 “Music Under the Stars: Bon Appétit Miami” were corporate sponsors Baptist Health South Florida, Essilor Laboratories of America, Transitions Optical, SMF Energy Corporation, Essilor of America, Low VisionAids Inc., Sir Speedy Printing and Marketing Services, GrayRobinson Attorneys at Law, Verdeja & De Armas Certified Public Accountants, VSP Labs, DadePaper, and Kodak Lens by Signet Armorlite along with food and beverage sponsors Gibraltar, Casa Juancho, Perricone’s Marketplace, Starbucks Coffee, El Carajo, Chocolate Fashion, Grazie Italian Cuisine, Seasons 52 Fresh Grill, Gordon Biersch Brewery Restaurant, Shorty’s Bar-B-Q, Fleming’s Prime Steakhouse, Barefoot Wine & Bubbly, Gulf Discount Liquors & Wine Merchants, Gold Coast Beverage Distributors, CA Catering, Costco, Dunkin’ Donuts, and Crepe Station courtesy of Dr. Barry Burak and Affiliated Healthcare Centers, Inc.
Our third annual fundraiser in support of the Miami Lighthouse Heiken Children’s Vision program Music Under the Stars… Bon Appétit Miami took place on Wednesday evening, April 28. 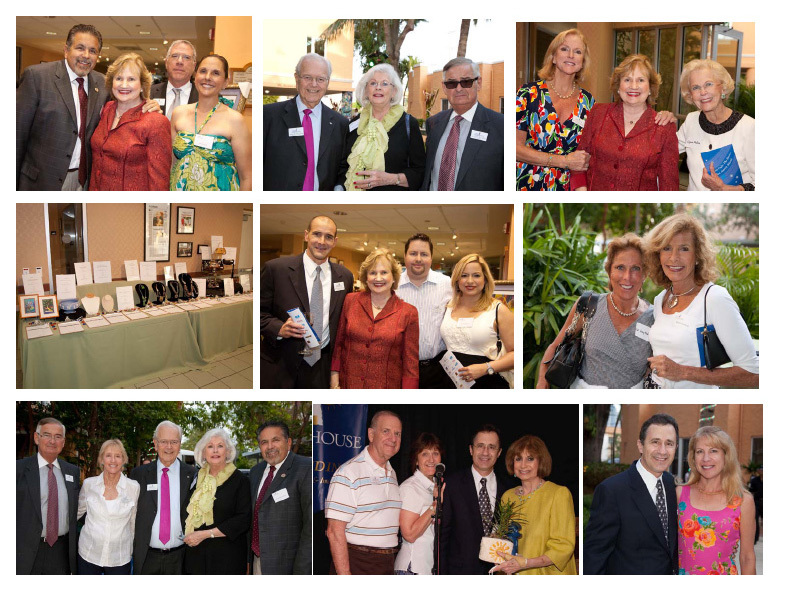 We extend appreciation to our generous sponsors: Baptist Health South Florida, Morrison Brown Argiz & Farra, LLP, SMF Energy Corporation, Essilor of America, Essilor Laboratories of America, Brown and Brown Insurance, Transitions Optical, Sir Speedy Printing and Marketing Services, New Image Productions, Magnifying Center, and Florida Reading & Vision Technology. 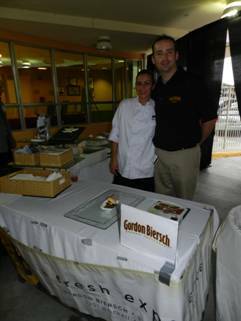 We also thank our participating restaurants and beverage providers Gulf Spirits & Wine Merchants, Gordon Biersch, Casa Larios, Zucchero Ristorante Bistro, C.A. 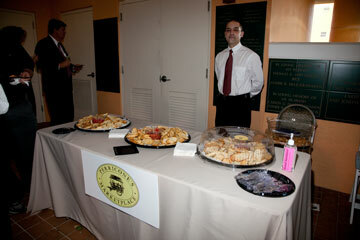 & Company Catering, Starbucks, Chocolate Fashion, Archie’s Gourmet, and crepe station courtesy of Dr. Barry Burak. 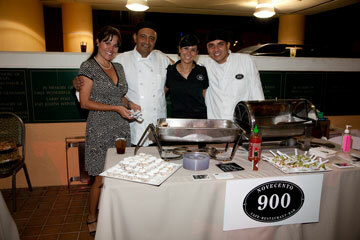 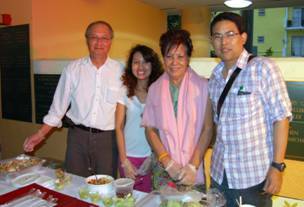 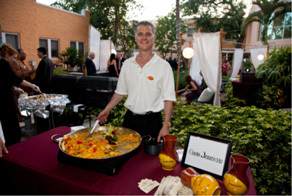 Click here for pictures from the 2010 Music Under the Stars… Bon Appétit Miami. 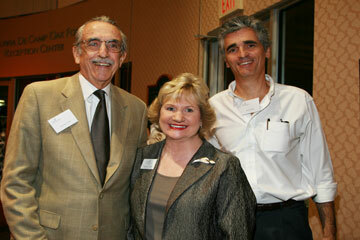 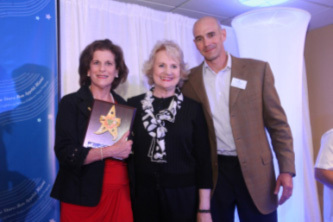 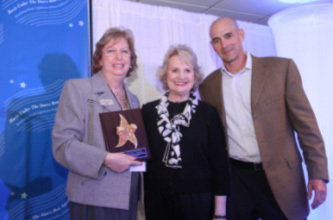 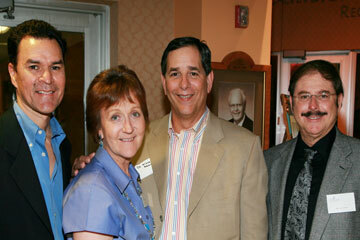 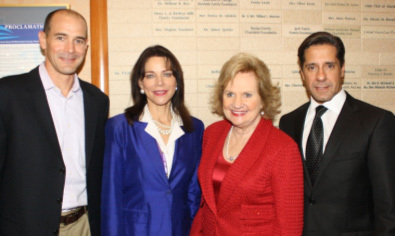 Steve Marcus, President & CEO, Health Foundation of South Florida, Mrs. Ruth Marcus, Virginia Jacko, President & CEO, and William Roy, Past Chairman. 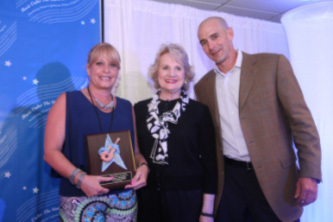 Deborah A. Montilla, District Director Division of Student Services, Miami-Dade County Public Schools receives award from Dr. Alan Levitt, Heiken Committee Member. 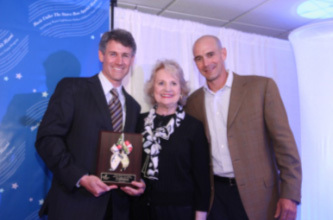 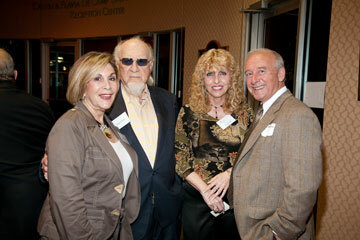 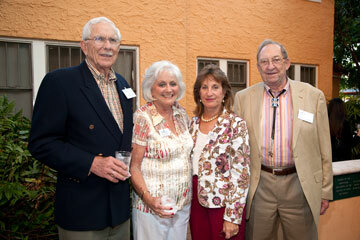 Guests Dan and Trish Bell, Board Director Pamela Garrison, and Kirk Landon. 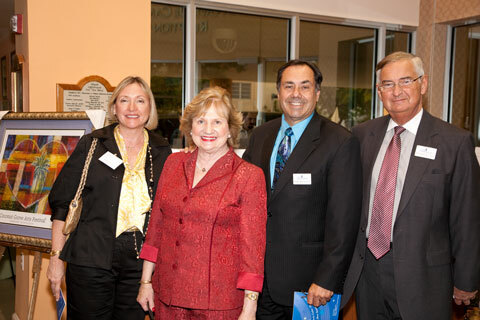 Platinum Sponsor Baptist Health South Florida, George Foyo, Executive Vice President & CAO with Mrs. Foyo, Virginia Jacko, President & CEO, Mrs. & Mr. Wendell Beard. 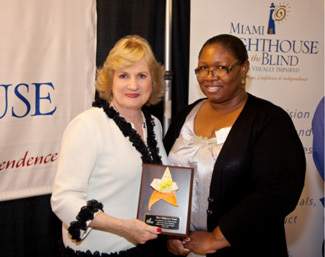 Click here, for more information on our Heiken Children’s Vision program. 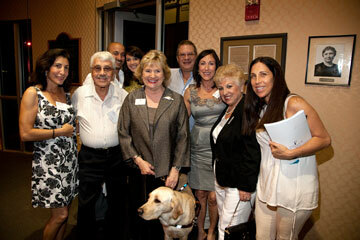 On April 30, Miami Lighthouse for the Blind hosted Music Under the Stars: A Taste of Brickell. 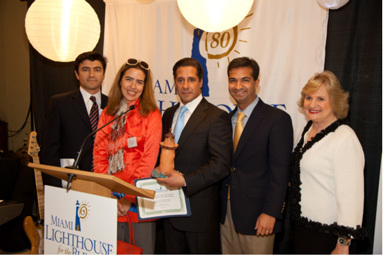 This inaugural event, held at the Lighthouse, benefited its Children’s Vision Care Program, a mobile outreach program that provides free eye care services to school children in need. 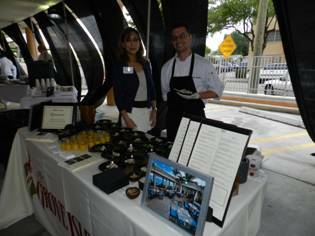 Friends and donors were treated to culinary delights prepared by Brickell area restaurants including Morton’s the Steakhouse, Blu Pizza é Cucina, Perricone’s Marketplace, Gordon Biersch, Rosinella, Baja Fresh and Provence Grill. 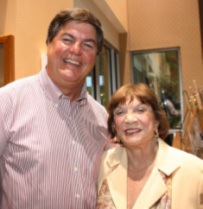 Musical entertainment was provided by Latin Tenor Warren Tesh, international violinist Randolph Margitza, and the talented Miami Lighthouse musicians. 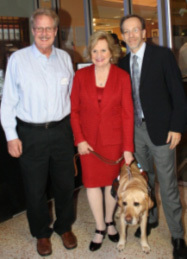 To top the night off, legendary music producer Henry Stone presented CEO Virginia Jacko with the first royalty check from sales of “Instrumental Magic,” the first album produced by Stone since completing vision rehabilitation at Miami Lighthouse, and featuring saxophonist Jeff Zavac, a current client at the Lighthouse. 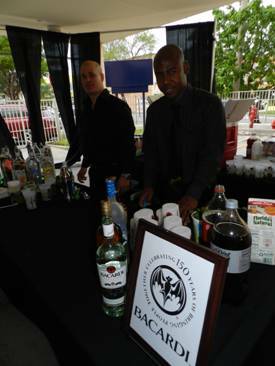 The event was sponsored by Ambutech, Eschenbach Optik, Florida Reading & Vision Technology, Mobile Specialty Vehicles, Southern Wine & Spirits, and AMC Liaisons/Rain Vodka.